Cupquake and Red continue in Stardew Valley and challenge each other to a egg hunt! Just in time for Easter! Who do you think will find the most eggs? It really helps me continue to do what I love! Stardew Valley #34 - Alien Egg! Stardew Valley #66 - THE FINALE! 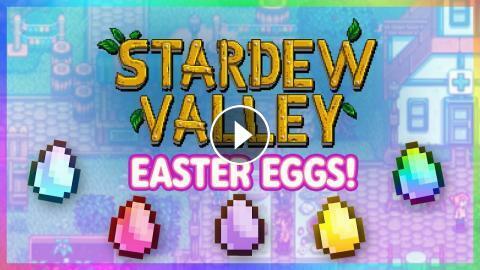 Stardew Valley #7 - EGG HUNT! Stardew Valley #37 - Back on the Farm! Stardew Valley #57 - Regrets! KINDER SURPRISE EGG CHALLENGE! How Many Surprise Eggs Can We Eat?! Stardew Valley #16 - Chilli Jam! Stardew Valley #35 - Stardew Valley Fair! Stardew Valley #39 - NEW HOUSE!